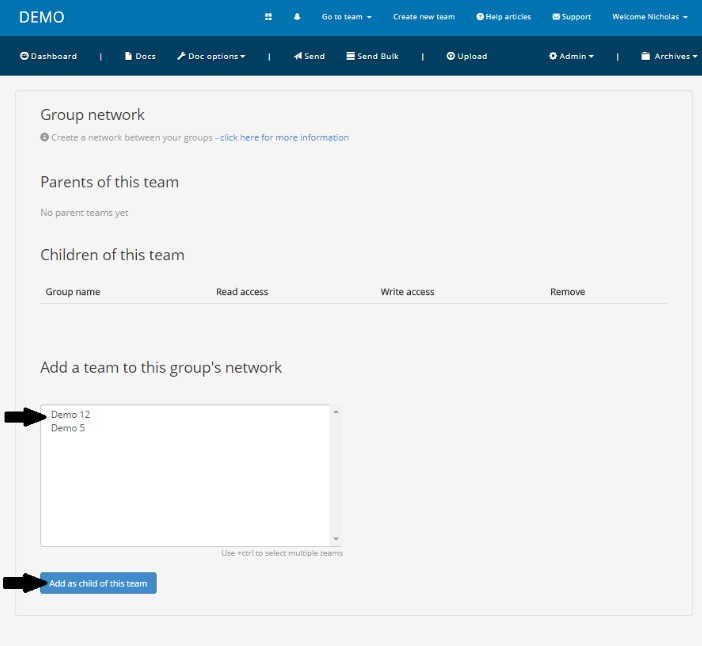 Teams Network is a feature that sets up a 'parent/child' network between teams. A parent team receives a feed of all the child team sent documents, can perform actions on its behalf, and can distribute documents to it. The teams network is a management tool so that where you have many teams you can easily supervise their activity and distribute documents from one 'parent' team. 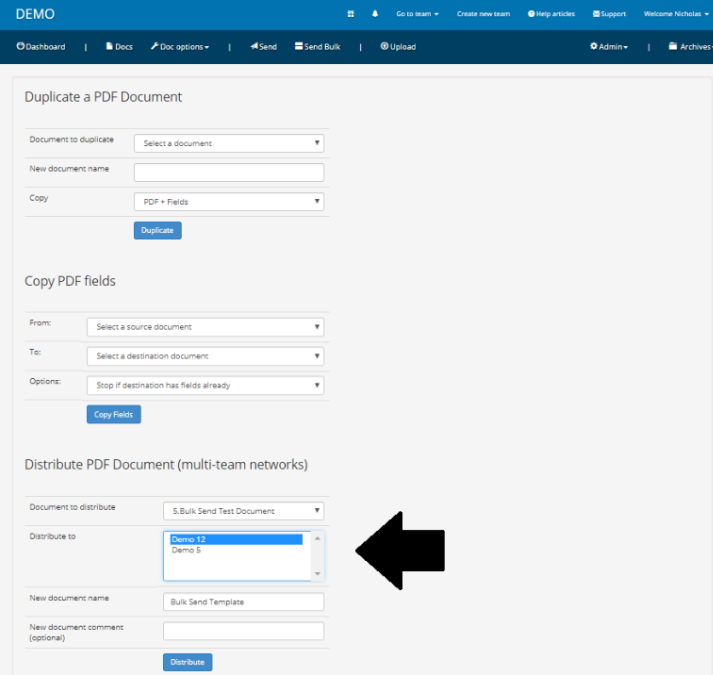 Setting up a network is also useful where you need to copy documents between teams. You can have one team in central control of your documents, and then use 'Document Automation' to distribute those documents among teams with a single click. A network can extend to multiple levels vertically and horizontally. A parent team will gain access to a child team, and all users in that parent team will gain visibility of a child team's activity. However a user must be a member of that child team in order to take any actions on behalf of that child team. A user in a parent team who is not also a user in the child team is equivalent to a 'read only' user of the child team. To Network teams together, access the team you want to assign as the parent team and go to Admin > Network. From this page add any teams you want as child teams and click 'Add as child of this team'. To distribute a document from a parent to child team, go to Doc options > Document automation > Distribute PDF Document and select the document you want to distribute, the child team you want to distribute to and enter a document name. Finally click distribute to send the document. For information on how to merge two PDF documents together, see here. This short video shows you how to set up a child team and distribute a document to it.